A pre-concert interview with Gretchen Parlato and Gerald Clayton at the Atlas Theater in Washington D.C., Dec. 2, 2011. For Bob Dylan’s birthday today, here’s Norwegian bassist Steinar Raknes from a solo concert at the Molde International Jazz Festival, July 23, 2010. I wasn’t expecting this “cover,” so missed a few seconds of the intro. Too bad we didn’t video record this listening session. To see Dee Dee Bridgewater’s animated facial expressions and watch her respond, both physically and emotionally, would add an extra layer or two of meaning to the text. 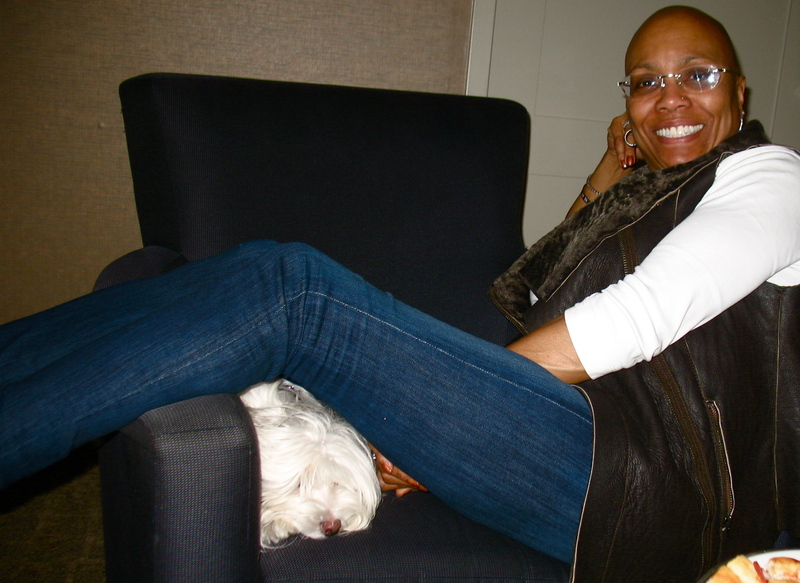 I caught up with the peripatetic vocalist (and her little Maltese, Iyo) at her hotel during a tour with the Monterey Festival All-Stars, a few hours before their performance at the Kennedy Center. The actress and three-time Grammy winner continues to host NPR’s Jazz Set while pursuing her intercontinental musical adventures. Her latest recording is the compilation, Midnight Sun, on her own DDB Records. “Thou Swell” (from Social Call, Columbia). Carter, vocal; Ray Bryant, piano; Wendell Marshall, bass; Jo Jones, drums. Recorded in 1955. I recently found an interview I did 15 years ago with saxophonist, composer Tim Berne. At the time, he was on tour with his trio Paraphrase (including Drew Gress and Tom Rainey) and in DC to perform at Chief Ike’s Mambo Room in Adams Morgan. Chief Ike’s was just a couple of blocks from WPFW-FM, so Tim dropped by the studio for a bit of live on-air chat before sound check. 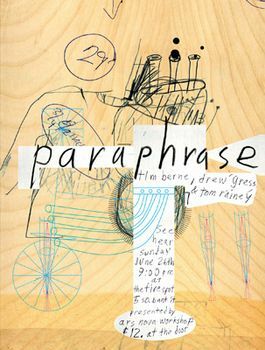 Tell us about the group Paraphrase. What do you see as the musical direction of this trio?